Fixing a standard hourly rate is not evident. Parameters specific to every assignment explain individual differences. Examples may be the complexity or duration of an assignment, the specific situation the client is facing. 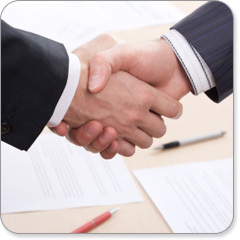 The final rate is always fixed in mutual agreement with our client. A clear and binding agreement between both parties is a key factor prior to kicking off an assignment. We nevertheless wish to provide some clarity and transparency with respect to our rates. An hourly rate represents 125 EURO on average. The average daily rate amounts to 950 EURO. These rates include all "normal" expenses. The amounts are VAT excluded. Some exceptional expenses, such as traveling abroad, will be charged separately if applicable. Finally we refer to our general terms and conditions.